Echocardiograms use the echoes of sound waves to create “movies” of the beating heart, its valves, and other structures. While rheumatic heart disease (RHD) was prevalent in the United States as late as the 1900s, improved housing conditions and the availability of powerful medicines like antibiotics and penicillin have lowered its incidence to 0.04 to 0.06 cases per 1,000 U.S. children. In regions where streptococcal infections flourish, RHD remains a scourge. Using echocardiographic screening to identify latent RHD— which is apparent on echocardiography before the child has symptoms that can be spotted by clinicians—has the potential to reduce the disease’s global burden. Optimal implementation must account for whom to target, when, in which settings, and how often to screen. The team led by Children’s National Health System researchers and clinicians conducted the first family screening study in Northern Uganda to assess the utility of echocardiographic screening of first-degree relatives of children with latent RHD. They used existing school-based screening data to identify potential participants and invited all first-degree relatives older than 5 years for echocardiography screening. The study recruited 60 RHD-positive schoolchildren and matched them with 67 RHD-negative kids of similar age and gender. 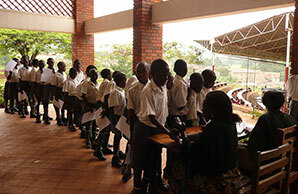 Some 1,122 family members were then screened. Children with any RHD were 4.5 times as likely to have a sibling with definite RHD, a risk that increased to 5.6 times if researchers looked solely at index cases with definite RHD. 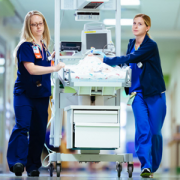 The team, led by Andrea Beaton, MD, a cardiologist at Children’s National, also found that mothers had a 9.3 percent rate of latent RHD—a high rate that was independent of whether their child was RHD-positive. Q: Many children living in RHD-endemic areas, exposed to the same environmental conditions as RHD-positive kids, are able to fend off disease. Are protective genes to credit for their resilience? Q: What are the best approaches to train nurses and community workers in how to use lower-cost, handheld echocardiograms to facilitate large-scale screening in countries where healthcare resources are constrained? Source: “Targeted Echocardiographic Screening for Latent Rheumatic Heart Disease in Northern Uganda: Evaluating Familial Risk Following Identification of an Index Case.” T. Aliku, C. Sable, A. Scheel, A. Tompsett, P. Lwabi, E. Okello, R. McCarter, M. Summar, and A. Beaton. Published online by PLoS June 13, 2016. The placenta plays an essential role in the growth of a healthy fetus and, among other critical tasks, it ferries in oxygen and nutrients. During pregnancies complicated by fetal growth restriction (FGR), the failing placenta cannot support the developing fetus adequately. FGR is a major cause of stillbirth and death, and newborns who do survive face numerous risks for multiple types of ailments throughout their lives. In fact, studies have shown that nutrient depravation during gestation can have lasting consequences that may manifest themselves years or decades later in life. These risks can also cross generations, affecting future pregnancies. 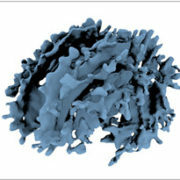 A team of researchers applied an advanced imaging technique, three-dimensional (3-D) MRI, to study brain development in these high-risk pregnancies. They are the first to report regional, tissue-specific volume delays for the developing fetal brain in FGR-affected pregnancies. The team compared overall fetal brain volume as well as regional brain volumes for a control group of healthy young pregnant women with a group of young women whose pregnancies were complicated by FGR. 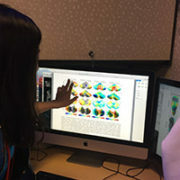 While fetuses in both groups grew exponentially as pregnancies progressed, the researchers began to see dramatic differences when they compared the volumes of specific regions of the brain, including the cerebellum, which coordinates balance and smooth movement; the deep gray matter, which also is involved in complex functions, such as memory and emotion; and the white matter, which is made up of millions of nerve fibers that connect to neurons in different regions. 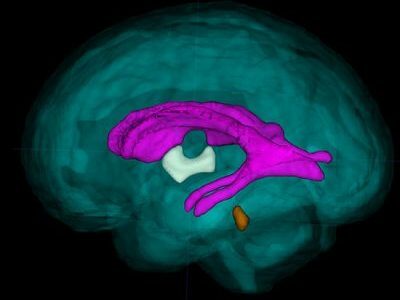 Because there are no biomarkers to spot early brain failure, 3-D MRI imaging may fill this knowledge gap. 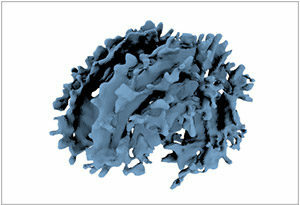 Q: Certain regions of the brains of FGR-affected infants show accelerated volume. Are these differences regional or global? Q: Is accelerated brain volume in FGR-affected infants a result of heightened stress that these fetuses experience in the womb? Q: How do differences in regional brain volume relate to later neurodevelopmental impairment that some FGR-affected infants experience? Source: “Impaired Global and Tissue-Specific Brain Development in the Growth-Restricted Fetus.” N. Andescavage, J. Cruz, M. Metzler, A. du Plessis, and C. Limperopoulos. Presented during the 2016 Pediatric Academic Societies Annual Meeting, Baltimore, MD. May 2, 2016. 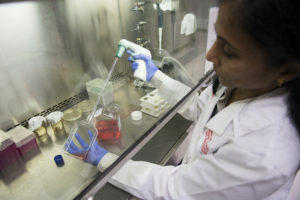 Following treatment, patients with leukemia, lymphoma, and other cancers may receive a transplant in order to restore their body’s natural ability to fight infection and, sometimes, such transplants are a component of leukemia treatment. (Leukemia is the second most common blood cancer, after lymphoma, and its incidence rate has increased by 0.2 percent annually from 2002 to 2011.) A stem cell or cord blood transplant restores the body’s ability to produce infection-fighting white blood cells. 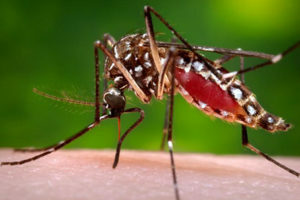 After such transplants, however, patients can face heightened risk of developing a life-threatening infection with such viruses as adenovirus, cytomegalovirus, or Epstein-Barr virus. 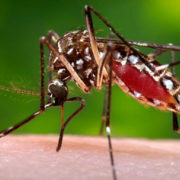 A head-to-head comparison of two strategies to thwart such viral infections shows that both approaches leverage the power of multivirus-specific, donor-derived T-cells (mCTL), which are highly skilled at recognizing foreign invaders. 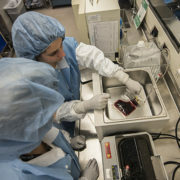 The research team, made up of nine scientists and clinicians affiliated with Children’s National Health System, grew personalized T-cells from peripheral blood (PB) of adult donors who were seropositive for CMV and also coaxed T-cells to grow from naïve cord blood (CB). PB-derived cells have long memories of past battles; naïve CB-derived cells need additional training to acquire such skills. 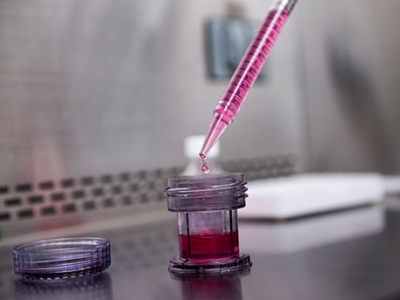 From 35 to 384 days after their stem cell or cord blood transplant, 13 patients were infused with PB mCTL and 12 patients were infused with CB mCTL. Within four weeks, patients experienced up to a 160-fold increase in virus-specific T-cells, which coincided with their response to therapy. Overall response rate was 81 percent. Q: Could T-cells be personalized to attack other viruses that infect patients post-transplant, such as human parainfluenza virus and BK polyomavirus, providing the potential to target five viruses in a single infusion? Q: Could the proteins that are used to train T-cells to attack certain viruses also be used to create a personalized approach to tumor suppression? Source: “A Phase 1 Perspective: Multivirus-Specific T Cells From Both Cord Blood and Bone Marrow Transplant Donors.” Hanley, P., M. D. Keller, M. Martin Manso, C. Martinez, K. Leung, C.R. Cruz, C. Barese, S. McCormack, M. Luo, R.A. Krance, D. Jacobsohn, C. Rooney, H. Heslop, E.J. Shpall, and C. Bollard. Presented during the International Society for Cellular Therapy 2016 Annual Meeting, Singapore. May 26, 2016. Hypoxic-ischemic encephalopathy (HIE) is characterized by reduced blood and oxygen flow to a baby’s brain around birth and may cause neurologic disability or death. It occurs most commonly after intrauterine asphyxia brought on by such difficulties as circulatory problems, placental abruption, or inflammatory processes. Newborns with HIE may suffer seizures, difficulty feeding, and disturbed control of heart rate and breathing. Cooling therapy, which is the standard of care, offers some protection to the developing brain, but up to 50 percent of HIE-affected infants still have poor outcomes. 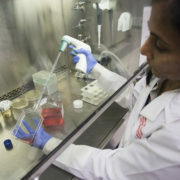 Research scientists at Children’s National Health System are involved in a multi-center clinical trial to determine if erythropoietin (EPO), a hormone naturally secreted by the kidneys and commonly used to treat anemia, helps to prevent brain injury in these infants. 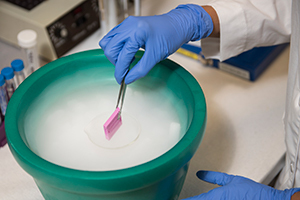 The trial, called the HEAL Study (High Dose Erythropoietin for Asphyxia and Encephalopathy), is exploring whether EPO, given in addition to hypothermia, further lowers the risk of brain injury in HIE-affected babies. As a part of this study, researchers at Children’s National are leading the investigation to identify biomarkers of brain injury. Biomarkers are telltale chemicals in the blood and are used in tests that evaluate whether patients have suffered a heart attack. While available biomarkers warn when the heart, kidney, or liver is in trouble, there is no blood biomarker that signals ongoing brain injury. 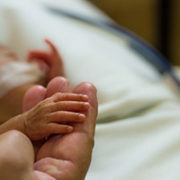 Such blood biomarkers could help to determine which infants are responding to treatment as well as to precisely identify which HIE-affected infants are still struggling and require additional treatments, such as EPO, to protect the brain and improve outcomes. Does EPO, in tandem with hypothermia, improve long- term neurodevelopmental outcomes in newborns with HIE? Which biomarkers, or panel of biomarkers, best reflect the timing and severity of neonatal brain injury? Can biomarkers direct which types of treatments are best for specific patients and when they should be used? Source: “Plasma Biomarkers of Brain Injury in Neonatal HIE (Hypoxic-Ischemic Encephalopathy).” A.N. Massaro, Y. Wu, T.K. Bammler, A. Mathur, R.C. McKinstry, T. Chang, D.E. Mayock, S. Mulkey, K. Van Meurs, L. Dong, R. Ballard, and S. Juul. Presented during the 2016 Pediatric Academic Societies Annual Meeting, Baltimore, MD. May 3, 2016. One single gene, lamin A/C, is to blame for a multitude of genetic disorders, such as premature aging and problems with nerves, the heart, and muscles. 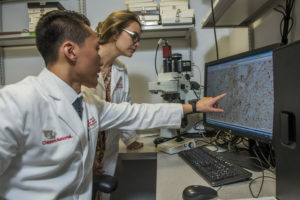 Uncertainties linger in the scientific and medical community about why subtle changes of this gene cause such dramatically different disorders, such as Emery-Dreifuss muscular dystrophy, a condition that can lead to progressive muscle weakness in childhood and heart problems by adulthood. The nuclear envelope is where attached regions are pulled from genetic circulation never to be used again. The process of attachment signals which parts of the genome the cell no longer considers useful. Discarding superfluous DNA keeps the cell focused on what matters more: Its future role. Proper cell differentiation hinges on “the coordinated execution of three key cellular programs,” the study authors write. Pluriopotency programs, which give primitive cells the remarkable ability to generate any cell type in the body, are inactivated. Exit from the cell cycle occurs, and cells stop dividing. Myogenesis is induced, ushering in formation of muscle tissue. Mutations in lamin A/C can disrupt this careful choreography with the cumulative effect of slowing exit from cell cycle, slowing exit from pluripotency programs, and poorly coordinating induction of terminal differentiation programs. Q: What are the regions of human genome that become attached to the nuclear envelope during the development of tissues other than muscle (such as fat, nerve, and heart)? Q: Can medicines that influence epigenetic pathways help to reverse the inappropriate DNA-lamin associations in Emery-Dreifuss muscular dystrophy? Q: Can the new knowledge of DNA-lamin associations during muscle cell differentiation help to inform stem cell therapies? Source: “Laminopathies Disrupt Epigenomic Developmental Programs and Cell Fate.” J. Perovanovic, S. Dell’Orso, V.F. Gnochi, J. K. Jaiswal, V. Sartorelli, C. Vigouroux, K. Mamchaoui, V. Mouly, G. Bonne, and E. P. Hoffman. 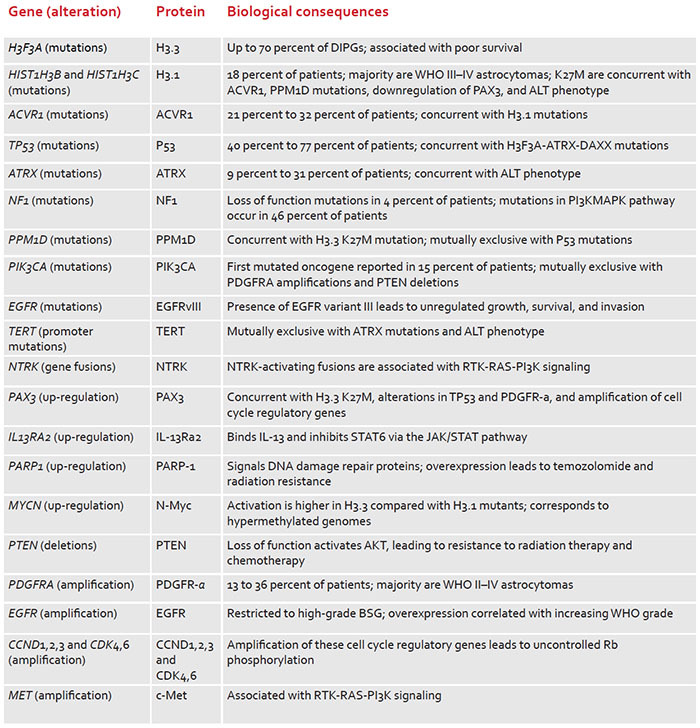 Science Translational Medicine. April 20, 2016. In 2011, screening for critical congenital heart defects (CCHD) became the second point-of-care newborn screening test added to the Recommended Uniform Screening Panel, and it has since been widely adopted. Heart defects are the primary targets for CCHD screening, which often require evaluation by echocardiogram. An original list of seven conditions represented the most common critical lesions which routinely present with hypoxemia for newborns. Endorsed by the American Academy of Pediatrics and four other professional medical societies, the CCHD screening using pulse oximetry is required by law in all but two states. Remaining challenges include national data collection and outcomes analyses at the population level. 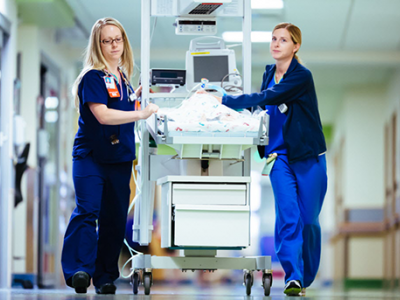 An expert panel including Gerard R. Martin, MD, a cardiologist at the Center for Translational Science at Children’s National Health System, reviewed current practices in newborn screening for CCHD and identified opportunities for improvement. The panel’s study expanded the list of core conditions to 12 to emphasize the importance of other potentially critical, yet treatable secondary conditions. Roughly 79 percent of “positive” screens for CCHD identify secondary conditions, such as sepsis and pulmonary diseases. The study found algorithm misinterpretation was common in states collecting outcomes data, emphasizing needs for proper training and quality-assurance feedback mechanisms. Public health surveillance varied dramatically, with nearly one-fifth of states neither actively collecting data nor planning to do so. Additional CCHD screening research in special settings like the NICU, out-of hospital settings, and areas with high altitude may result in adaptations to screening protocol. Future improvements to the current screening algorithm and analyses of the impact on CCHD outcomes will rely on further investment in a national data repository. Q: What will be the impact on present screening for CCHD on outcomes of non-CCHD secondary conditions? Q: What is the optimal algorithm for CCHD based on screening and testing ease of use, costs, resource utilization, and sensitivity for different treatment settings? Source: “Lessons Learned From Newborn Screening for Critical Congenital Heart Defects.” M.E. Oster, S.W. Aucott, J. Glidewell, J. Hackell, L. Kochilas, G.R. Martin, J. Phillippi, N.M.Pinto, A. Saarinen, M. Sontag, and A.R. Kemper. Published by Pediatrics May 2016. Congenital heart disease (CHD), a structural problem with the heart at birth, is the most common birth defect and impacts 8 of every 1,000 newborns. While many infants with mild disease require no intervention, others have complex CHD that necessitates specialized treatment shortly after birth. Complex defects change how blood ﬂows through the heart and to other organs—including the brain. 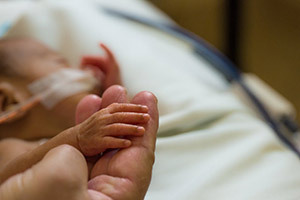 Newborns with this diagnosis are at an elevated risk for neurodevelopmental disabilities, underscoring the importance of monitoring fetal brain development and function to identify which newborns need additional surveillance and medical intervention. Neuroimaging research in recent years has shown that resting-state functional magnetic resonance imaging (rs-fMRI) can provide critical insights into how the brain functions, at rest. 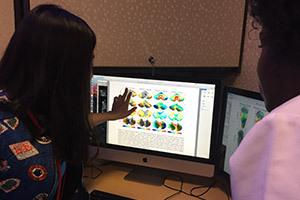 The research team in the Developing Brain Research Laboratory at Children’s National Health System successfully measured brain function in 90 diﬀerent brain regions in healthy resting fetuses and pregnancies complicated by CHD. 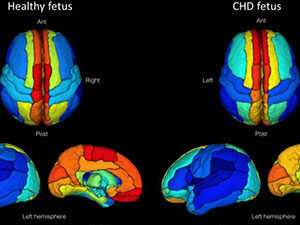 The team reports for the ﬁrst time that there was robust functional connectivity between hemispheres in both fetuses diagnosed with CHD and controls matched by gestational age. 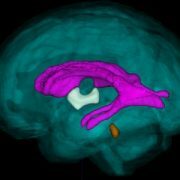 The Children’s researchers and clinicians, however, found that some functional connections were weakened in the association and paralimbic regions of the brain that are involved in attention, emotions, and behaviors. Q: Does decreased regional connectivity in these association and paralimbic brain regions in CHD-complicated pregnancies inﬂuence infants’ neurodevelopment after birth? Q: Can rs-fMRI be used to identify early disturbances in brain development in CHD-complicated pregnancies, and can the imaging technique lead to improved surveillance and more timely therapeutic intervention? 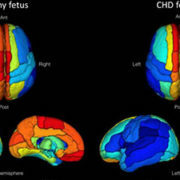 Source: “Functional Brain Connectivity Is Altered in Fetuses With Congenital Heart Disease.” J. De Asis-Cruz, A. Yarish, M. Donofrio, G. Vezina, A. du Plessis, and C. Limperopoulos. Presented during the 2016 American Society of Neuroradiology Annual Meeting, Washington, DC. May 25 2016.